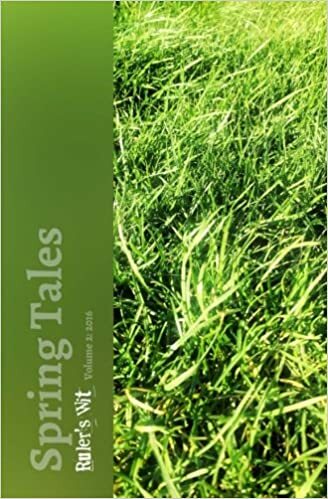 Spring Tales is the second anthology of seasonal short stories from Ruler’s Wit, the first being Winter Tales, and is penned by the same four authors: Stephen Ashurst, Karen Ette, Melinda Ingram and Donna Shepherd. Each of the twelve stories has a well-written spring setting, which brings them together in a united theme. Some of the characters from WinterTales take up new adventures as the seasons change. You are able to ‘Look Inside’ Spring Tales on the Amazon website and it is available in both paperback and Kindle. The first story, Waiting for Spring tells of one woman’s heartbreak and how she turns her life around – revenge is sweet. Promise of Adventure is a time-slip story based on historical facts. As the family gather for Grandma’s birthday, Ellen has the promise of a mystifying and unusual adventure. Debt to Karma is an edgy tale of loss and desperation that revolves around one man’s life-threatening debt. Spring Brake sees a young, pregnant girl, abandoned by her boyfriend, take hold of the situation and manipulate it – but is it what she really wants? No Ball Games is an action-packed extract from a forthcoming novel and introduces firearms officer, Florence Carter; a tough lady in an even tougher, masculine world. Caitlin Blake is also a young lady in a tough environment – the Army. Bluebell Woods is a modern-day ghost story where sadness turns to fear and Jack carries out his ‘job’ in a remarkable way. In Laid at my Feet the readers will ask themselves if people can really change and if the debt has to be paid in blood when there seems no escape. Dance with the Daffodils is set in Cumbria in the early nineteenth century. A young girl will hang if she isn’t proven innocent. And what does William Wordsworth have to do with it? When you read A Gift in Spring you will be served a sad but very satisfying ending. Vengeance is mine – Mrs Read might say. Who would betray their friend? In Betrayal readers will question if any of Ali’s would, surely not. But will any of the close group of ladies tell another if they knew of any wrong doing? Far From Here is science fiction and fantasy that leaves the reader wondering what on earth could have happened before realisation emerges. The final story, Elephant in the Room, is funny with a satisfying ending that closes the anthology on a happy note when just desserts are served. Spring Tales is available in both paperback and Kindle and is excellent to have on the coffee table or to pop into your bag when you might have to wait for an appointment or a train. An excellent accompaniment for a cuppa and a biscuit - morning coffee and afternoon tea, or a story before bedtime. So versatile. I am looking forward to Summer Tales, which I believe will be published in June/July. Winter Tales and Spring Tales are published by Ruler’s Wit.